Welcome to yet another controversial poultry topic. Egg safety. People are passionate about how they choose to store their freshly collected eggs. Do cultural differences play a part in the decision you make? Do new chicken owners with no guide to pass down the skills make different decisions than someone who has a family that raised chickens for years? Let’s talk egg safety. The FDA guidelines state that you should only purchase eggs that have been stored in a refrigerated unit, keep refrigerated when you get it home and use within three weeks. Store eggs only in the original packaging and never reuse egg cartons. Commercial sellers of eggs must complete an intensive washing program before their eggs can hit the shelves. Hence, the temperature concerns. On the FDA website, they’ve even been kind enough to create a little video on how to keep your eggs cold when traveling to a picnic. Well isn’t that just sweet?! Basically, to wrap up the U.S.’s standpoint: Cold, cold, cold! Don’t forget, they are also selling us old eggs (hence the use within 3 weeks) and recycle your container, but don’t think about reusing it. I absolutely love that on the European Food Safety site, the first thing they say is Eggs are Overwhelmingly Safe to Eat. The U.S. scares you right off the back with Salmonella risks, but I digress… If you enter any European market place you will see eggs not in the coolers, but in an aisle next to the bread. Not only are they not chilled, but they haven’t seen so much as a sponge since they left the farm. What?!? Dirty room temperature eggs! 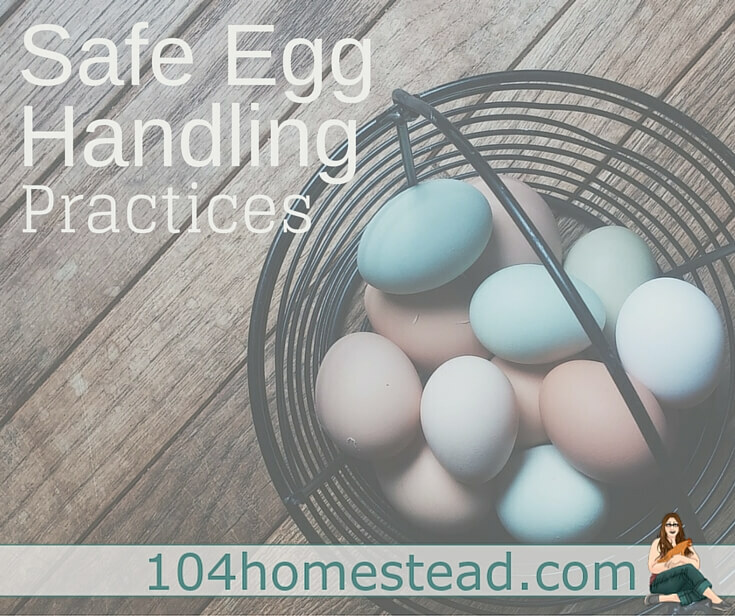 Eggs should not be washed or cleaned because such practices can cause damage to the egg-shell, which is an effective barrier to bacterial ingress with an array of antimicrobial properties. However, some practices, such as the treatment of eggs with ultra-violet rays, should not be interpreted as constituting a cleaning process. 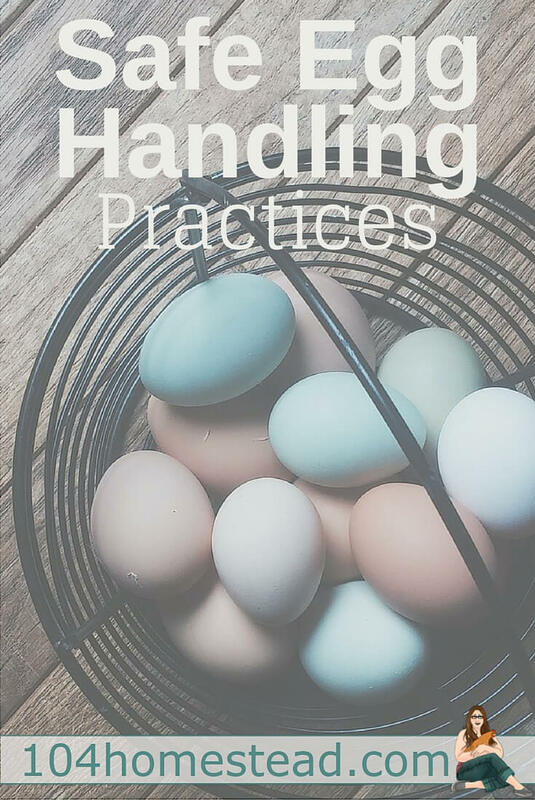 Moreover, Class A eggs should not be washed because of the potential damage to the physical barriers, such as the cuticle, which can occur during or after washing. Such damage may favour trans-shell contamination with bacteria and moisture loss and thereby increase the risk to consumers, particularly if subsequent drying and storage conditions are not optimal. Mark Williams (Chief Executive of the British Egg Industry Council) shared his viewpoint that the FSA standards encourage good husbandry on farms because it’s in the farmer’s best interest to produce the cleanest eggs possible, as no one is going to buy their eggs if they’re dirty. A valid point indeed. The three digits you see on egg cartons is called the Julian Date. It tells you how old the eggs are. 001 stands for January 1st and 365 stands for December 31st. On a similar token, worldwide farmers in history didn’t refrigerate or wash eggs. When you have a small ice box, other things take precedent. It is only in fairly recent history that people started washing and refrigerating eggs. The reason for one was brought on by the other. If you wash eggs (removing a protective bloom) than they must be refrigerated. If you want to refrigerate, you’ll often wash to protect other foods from bacteria present on the shell. How do you store your eggs? I collect my eggs two or three times a day and pop them right into my cute crochet chicken basket sitting on the counter-top. Once the basket starts to overflow, I pop them in reused fiber cartons (sorted by color for customers with a love or hatred for certain colors) and left on the pantry shelf until purchase. Am I breaking the law? Oh heck yeah (but please don’t turn me in). These are the cartons I started with and my wonderful customers keep on returning them so I haven’t had to buy more in the last three years. All new customers that come to my home get washed and refrigerated eggs. After building a rapport with them, I discuss my feelings on egg storage. Most often they ask to try a carton unwashed and room temperature. They never ask to go back to the old way. When I sell my eggs to the health food stores, however, I must follow FDA protocol and wash and refrigerate all eggs. Thankfully I am only selling duck eggs through the health food store at this time and really, after digging them up from the mud (thanks Puddle) they could use a good washing before anyone would want them. Learn more about the differences between farm fresh eggs and store bought. Please Note: Once an egg has been refrigerated, it must stay refrigerated. Otherwise bacteria can enter the egg when it “sweats”. So how do you store your eggs? Let me know in the comments below. I very much appreciate your blog. Humorous and informative! We raise both meat and egg birds. My husband’s flock. He usually hangs onto the meat birds longer than most and so our egg numbers can be as many as two dozen a day. Double yolks common with the meat birds and triple yolks on occasion . Regarding egg handling practices, I separate clean from dirty eggs when collecting them. Soiled eggs get a dry rub cleaning, clean ones get a smile . . 🙂 All sit on my counter until used or bartered with neighbours who have food items I want. Bartered eggs go into recycled egg cartons. Because we run roosters with our hens I crack eggs into a small dish before adding them to anything. My husband and I cannot consume as many eggs as we keep, but I raise Yorkshire Terrier and Miniature Schnauzer dogs and feed eight cooked (scrambled) eggs morning and night as part of their soft diet. I have very healthy dogs!! 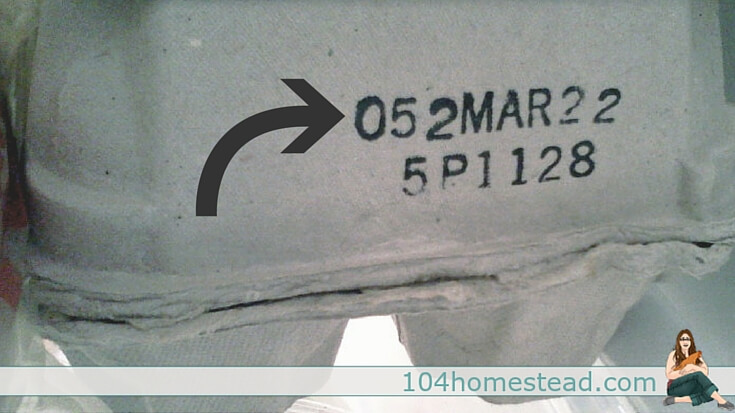 Best before date in the commercial world of food production means best before . . not rotten the day after!! We have friends who won’t eat anything not dated . . . but smoke . . . Big Money Buys Brains!! We don’t wash ours…. My hubby has been paranoid that the eggs shelf life would be compromised so has been putting them in the fridge… After this I think we will leave them out of the fridge from now on! Thanks for the post! HI! We are new to chickens this year so I am really enjoying reading all the different opinions on storage. Right now we have 23 hens that are around six months old that I believe are all producing. We are getting around 18 eggs per day. We have told our daughter that she can sell the eggs and use that money to pay for feed for her 4H projects but it is one of her chores to take care of the chickens. Our question is this…. I have read that using mineral oil on eggs will make the eggs last longer, especially if the eggs have been washed. Would you suggest or recommend this? Also, we have now made a road sign for “Fresh Eggs for Sale”. We would like to put a container by the road to put the eggs in for customers to have a self service. What would you suggest we use for this container. Mineral oil will extend the shelf life of eggs significantly. I wouldn’t worry about it until next year, though, when your hens may reduce their output during the winter. They should continue to lay steadily this year, but at two they start to have trouble with the shorter days. We’ve found that a cooler works great for an honor system egg container. My husband secured a coffee can with screw-on lid to the side so it’s harder for people to steal the funds. We are JUST starting to get eggs (3 this week!!). I plan on selling them in the near future as we have 19 pullets. How do you determine amt to sell them for? How do we get away with not giving them refrigerated eggs? I’m not planning on putting them in a fridge unless necessary, this is an issue…we live close to Amish country & they sell their unfridgerated eggs and don’t get in trouble. Check Craigslist to find the going rate for eggs in your area. Even in my area it can go from $2-5 a dozen, but we settled on $3. As far as unrefrigerated eggs, I always have a dozen or two sitting in the fridge for new customers. When I meet them I let them know about the benefit of unwashed/room temperature eggs. They are always excited to try them and so we do unwashed from that point on. It clears up space in the fridge and they make for a fluffier product when you’re making egg dishes or baking with them. We simply brush any dirt, poop or anything else off our eggs with the scrubber side of a dry dish sponge and keep them at room temp on the kitchen counter. Never had a single problem…. But some people are uncomfortable with un-refrigerated eggs. Their loss. My grandparents were cattle farmers but kept chickens personally for meat and eggs. She always put the eggs in a wire bowl on a lower open shelf cabinet (close to the floor – cooler there), out of the sunlight when she gathered them and used as needed. I was always told to use the eggs within a month after gathering. If they have a bit of dirt, I gently brush them off by hand before I put them in a wire bowl. Before I crack them for use, I do a quick rinse under warm water. I still don’t refrigerate, I’m almost 60 and still kickin and rarely get sick! I’ve had folks ask me if I was worried about bacteria…I tell them only would be if the eggs came from a commercial farm. My girls eat good feed mixed with seeds and flax, plenty of crushed oyster shell available to them, clean water, and I always keep a head of cabbage or two in the run hanging for them to peck at and eat (keeps them busy on bad weather days when I can’t let them out to free range). I’m in the southern US where we get really hot summers and give the girls a whole cut up watermelon weekly during the hottest times. No egg at a store will have the nutrition packed in the way the eggs from my girls do – another reason to keep your own chickens. Amen Nan. I always tell people you only have to worry about unhealthy eggs when they are produced by unhealthy birds. I have been raising backyard flocks for 5 years. My great-gran had them for years and years. I learned a lot from reading because when I decided on birds my gr-gran Clara was gone, but my gran Ro (83), her daughter, remembers well what her mom used to do. We talk chicken antics a lot. I remember Clara having meat birds when I was a kid in the late 70s and early 80s, but she did have some laying hens as well. I only refrigerate in winter…BUT…I don’t get many in winter because I do not artificially light my birds. We live in Nebraska, we have cold winters for sure. I like to give my girls a break and have found that fewer eggs in the winter means more regular laying the rest of the months, even from old girls. Sometimes I get a poopy egg, I wipe it off with a draw cloth and put it in my antique egg bowl, then wash only before I crack it. I have stored eggs in this bowl for weeks and weeks and never worried about contamination. I also have used the old-timer float test if I have ever been worried. Luckily I have never had a bad egg from one of my girls. My son “forgot” to check one of our nest boxes early last spring, I couldn’t figure out why the girls weren’t laying. I have one older blue Orpington hen, one silkie who doesn’t make eggs often, and one young mutt hen so someone should have made at least 1 egg at the point that we were at. Their next boxes are on opposite ends of the a-frame tractor I built. Finally, I did the chicken chores instead of trusting the teenager. I harvested over 2 dozen eggs from the box “they never use Mom!.” Weather was in the 30s and 40s, when we found the eggs, I float tested them all, not a bad one in the batch and then I did refrigerate. My family enjoyed them all and no one ever was sick. I have had bad eggs (float tested) from the grocery in the good old US of A. The salmonella scare in Iowa hatcheries in 2010 prompted my chicken journey and I haven’t ever regretted the decision to keep hens in the big city! Following the practices of my ancestors, who clearly survived well, makes me very proud to continue their practices in more modern times. Cheers to all and happy egg collecting. This was a wonderful read. I appreciate your informative viewpoint. I find it strange my mother was raised in Ireland during a simpler time, yet, she has fully bought into all the US standards. When I try to get her to try some of my homemade products or fresh produce she’s very leery. We also live in Nebraska & had to work our way around city politics to get our hens. I think it’s fantastic Omaha allows chickens even on smaller properties. We have nearly an acre (not huge, but these days more than most people we know) and our town was not pro chicken. We’ve had our hens just 5 months now and they bring so much happiness and laughter to our daily routine. My husband was really irked by the cost of the coop (that he designed and built himself…..he can’t do things on the lower end) but he has been amazed at the difference in the eggs. We are steadily getting 4 a day now and waiting on another 1 or 2 hens (1 may be a rooster). I’m glad we can provide our family with the knowledge of how food is produced (and how things should be done). We do refrigerate because we have plenty of room, but we don’t wash until just before use. Thank you for tidbit on water temperature because I was not aware of that. I’m hoping to find interest in buying our extra eggs to offset the price of their feed, but even that hasn’t been too bad with their natural foraging habits (not to mention them getting all our scraps and letting them in the garden to eat all the fallen tomatoes). I would love to see a picture of the crochet egg basket. In the warmer months I allow my eggs to sit on the counter until the basket is overflowing and then I will wash them and put them in a carton and make the rounds to my customers. Any leftovers get refrigerated. In the colder months (i live in Michigan), the eggs are already cold when I collect them. Therefore I wash and refrigerate them. But as someone already said, my eggs don’t last very long before they are eaten my someone and I have yet to have a complaint so I guess all is well. I collect my eggs once a day. Then I place them in a tray on my counter until I use them. I do not wash or refrigerator them. Good info! But I think it depends whether you have a rooster running with your chooks, to if you refrigerate your eggs. Same with a duck and drake. I guess it also depends on climate as well. I live in Tasmania in Australia so our weather can go from raging hot in summer to chilly in winter.My dad and mum used to raise baby chicks n ducks for the rural schools, so there was always roosters and drakes running with the chools and ducks. To stop the egg from developing you put it in the fridge. If you don’t you can end up cracking a half developed egg into a cake mix, which by experience isn’t a pleasant thing. When i was a kid we ven had a few eggs hatch from just being left on a bench in the laundry in summer, so yeah I put mine in the fridge for 9 months of the year to be on the safe side, plus they seem to last way longer in the summer months that way. Thanks for your great article! I started keeping chickens this year, after a lot of input from a friend who homesteads ‘the old fashioned way,’ and a lot of personal study and research. Equipped with an understanding of egg collection and storage that you have outlined above, the task for me was also to collect the cleanest eggs possible. That means maintaining the cleanest nesting boxes possible. Eggs generally come out of the chicken quite CLEAN. It is only when they are laid on a pile of poop, or kicked around by another hen who tracked in mud and poop on her feet that there is contact with yucks. So the first task is to keep the hens from ROOSTing in the NESTing boxes, and keep those nesting boxes clean. I also switched from the fine shavings that I use on the coop floor in the nesting boxes (it can stick to the bloom), to some very good, leafy hay from my neighbor’s farm. The girls love the hay (not hard, stiff straw), it is easy to ‘shake out’ if a wayward poo finds its way in there, and easy to replace. A truly dirty egg gets rinsed off, and usually put aside for my girl’s breakfast (Golden Retriever). She loves a healthy, raw egg cracked over her kibble. I completely understand your concern about warm temperatures and a “busy” roo. I had similar concerns when I first started with roosters. Humidity plays a huge part in egg development. Although not impossible, it is unlikely that an embryo will begin developing on the kitchen counter. Hey, better safe than sorry though, right? My eggs are out the door or are in tummies before I’ve had the chance to put it to the test. Congratulations on your new flock. I hope I can provide you with a lot of great resources. It sounds like you have a great friend to guide you on your way, but if you ever have questions, feel free to get in touch. Not yet, but you can bet I will! No Jessica, I haven’t yet, but you can bet I will soon! I just finished a ton of research for a similar article. What was evident to me is that it’s actually the way our eggs are farmed in the US that caused the need for washing. When several chickens are housed in a small cage, with a cage above them and a cage above them…..the exposure to salmonella becomes many times higher. They simply have to wash the eggs. In other countries where eggs are farmed in a more traditional approach they don’t have this high of an exposure rate which makes the eggs safer to store at room temperature. If the US would switch back to traditional farming for our eggs (like us homesteaders and backyard farmers) washing wouldn’t be necessary anymore. Amen! And it’s not just eggs. It’s a lot of our food production. I think that a big part of the difference between US and EU is that in the US the commercial market is so large that pesticide use results in the need to REALLY wash produce well, and large commercial animal farms are so overcrowded that good animal hygiene is severely lacking resulting in a higher incidence of diseases contracted from commercial animal products. It seems that the EU sees a larger percentage of its produce and animal products coming from smaller family style farms and homesteads which results in safer products and better handling procedures. Perhaps one of the fine folks on here from the EU can shed light on whether my hypothesis holds water or not. 🙂 I will say that the removal of people from food production has led to misconceptions about food safety. The fact that most people believe that washing an egg is important to safety is proof of this (even I feel victim to that idea until I started raising my own chickens and gathering my own eggs). I think you are spot on. From what I’ve read, the inability to wash market eggs holds producers accountable. Birds CAN’T life in deplorable environments because then they wouldn’t be able to sell their eggs. I really think people’s concern over “cleanliness” is part of the problem. You don’t need to wash your garden produce in a fancy wash. Eggs don’t need to be bleached. As my mom use to say, you have to eat a peck of dirt before you die and you don’t want to do it all in one sitting. Building a slow tolerance to things makes you healthier in the long run. Many people belive that the constant need for cleanliness especially here in the US is one of the major reasons for so many algery problems. I let my kids plan in every bit of dirt the could find, and I’m not even close to a perfect house keeper. But not one of my kids has. A single algery. My grandmother fondly reminisces about going to the egg farm down the road to buy their “cracked and dirty” eggs! Jess, I was not aware of the difference in recommendations between US and EU. That was fascinating!! Sharing! I also gather several times a day… I have several egg cartons on the counter (the plastic kind with flat lids), I also mark them as to what day of the week they were gathered. I give our church custodian a dozen or maybe 1/2 dozen,,,,whatever I have at the time… They are country raised people and know that mine are NOT washed….and why they aren’t. I keep my nest boxes with clean straw, etc so never have a problem with dirty eggs. We have duck and chicken eggs. Yes the duck eggs are very dirty when collected. I love my duck eggs for baking and I do wash them and put them in the refrigerator There is nothing better than a farm fresh egg. We first put our duck eggs on a tray on the microwave, if we accumulate a lot we will transfer them to the fridge. If my eggs were spotless I would not wash them but alas they are not. I wash the parts that need to be washed with water that is much warmer than the egg. I dry them with a clean towel and don’t refrigerate them unless it’s warm outside and in Wisconsin right now it isn’t, and either is my house. If an egg is really dirty it goes into my personal egg larder or I feed it to the dogs. Duck eggs are so good and I have two fresh ones every morning but no one seems to want to buy them out here. Now having said that, I came home from being out all day and my husband refrigerated 6 boxes of eggs! I move the eggs so fast that I don’t feel there is any worry about bacteria. Most recipes call for eggs at room temp. I have trouble selling duck eggs at the stand, but they do great at the health food store, which works out great since they can monitor the eggs people are buying. Here I’d be afraid of people wanting chicken eggs and accidentally grabbing duck. For a market for your duck eggs, try contacting people who are allergic to chicken eggs. That is such a great bit of info to know (refrigerating eggs)- I just love how blogs bring our communal wisdom together. I wish that our local CSA’s had eggs, I really want chickens- even have room, just not an agreeable hubby! LOL What can I tell hiim to convince him? Men like math. Show him how 5 chickens a week produce about 20+ eggs a week. That’s about $21 a month worth of eggs (at $3/carton). Feed costs about $12 a month for five hen in my area. Profit. It’s all about profit. If you’re wise you wont mention coop construction costs until you’ve got him agreeable, but even a coop can be nearly free. No more wasted food! I feed almost all of our scraps and past date food to my chickens. I hate throwing away food ($$$) now it goes to make more food…eggs! We have an ant problem where I live in Maine. When we first moved here I was told by a local coworker that chickens were the answer. It took me over a year to convince my husband but I now have 11 chickens and 4 ducks. I was under the impression that once your eggs were refrigerated they were supposed to *stay* refrigerated. Am I wrong about that? My egg farmer sells their eggs unwashed, but refrigerated, and I have always stored them in the refrigerator… and I haven’t explored the idea of NOT refrigerating mostly because I don’t have room on my counter! You are completely right and I will add that information right now. Once an egg has been refrigerated, it MUST BE REFRIGERATED. Even when refrigerated, I still think it’s good practice to keep them unwashed. The egg will last much longer. If you are planning on doing some baking, ask your farmer friend if he/she is comfortable selling you room temperature eggs. Baking with room temp eggs makes for lighter and fluffier batter. The result are amazing. Could you store the eggs unwashed and then wash just prior to breaking the shell and using? Certainly! That’s what we do. We don’t even bother washing unless they look a little dirty (of course, I’ve become sort of a pro at cracking eggs without making a mess lol). We refrigerate but only because we always seem to have the space. The eggs go into reused cartons unwashed unless there’s a really dirty specimen. If that’s the case, I first try wiping off with a paper towel when we come in from the coop. If that doesn’t help, then I make sure to use HOT water to wet a towel and then only wipe the dirty area. Using Hot water is important since egg shells are porous. Cold water will contract the shell, opening the pores more, making it easier for bacteria and stuff to enter. Water that is warmer than the internal egg temp is vital. Someone did a study on the perfect water temperature, but I can’t remember off hand what it is. I am part of a CSA and I get enough to use for the month and store in my frig in the veggie draw. I think it is so awesome that your CSA offers eggs. Not many do. It’s a shame.